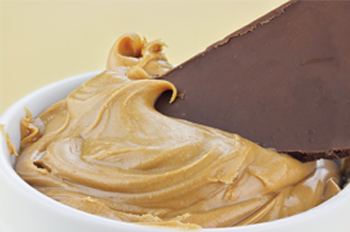 Reese’s Peanut Butter Cups may have convinced the world that combining peanut butter and chocolate is a good idea, but the task can be more difficult when combining companies. The rate of mergers and acquisitions over the past decade has skyrocketed, driven by financial, operational or geographic territory decisions. Rebranding the newly combined entity is all too often an afterthought. In their paper “Merging the Brands and Branding the Merger” authors Richard Ettenson and Jonathan Knowles studied mergers and acquisitions completed over a ten year period and found that branding strategy was a low priority for the majority of organizations during M&A negotiations. Ettenson and Knowles noted that, "For marketers, a merger and acquisition therefore provides an important test. Failure to establish a new brand and to communicate its worth to internal and external audiences could have massive repercussions on the organization as a whole." Combining two entities provides a tremendous opportunity to leverage new brand characteristics that are gained. A critical starting point to rebranding is gaining an in-depth understanding of the current perception of the brand(s) in the marketplace and how they relate to competitors. Based on this research, the combined entity can then decide if one company brand will be dominant or if a newly combined brand should be created. Backing the Stronger Horse (55%) - one organization takes the visual identity of the other, which has the stronger brand. Business As Usual (24%) – both brands continue to exist independently. Best of Both (13%) – the new organizations combines the visual identity of the both companies. Different In Kind (8%) – an entirely new corporate identity is created for the organization. Each of these rebranding decisions has its pros and cons. Deciding to eliminate one brand over the other, can convey the message that one company was the loser, which risks alienating customers that were loyal to the brand that was eliminated. On the other hand, it can remove negative perceptions and breathe new life into a beleaguered company. Combining companies is a chance to conduct a SWOT analysis (strengths, weaknesses, opportunities and threats) for each organization. This reimagined brand strategy can serve as the roadmap to navigate the transition between a company’s current positioning and where they want to be. When deciding which route to take it’s important to remember that a brand has to resonate not only with customers, but employees as well. Mergers and acquisitions can be difficult for employees facing uncertainty, so it’s important to carefully examine your brand selection strategy and the message it sends. Rebranding can serve as a catalyst to engage all employees and align core values throughout the new company.